The theatre is being used for the theatrical production of Black Comedy by Peter Schaffer and directed by Michael Johnston …. 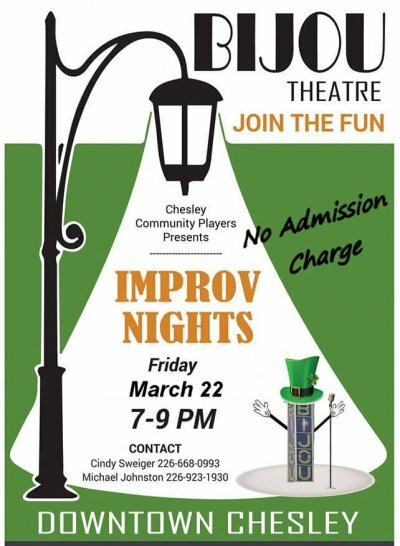 Improv returns after the production. 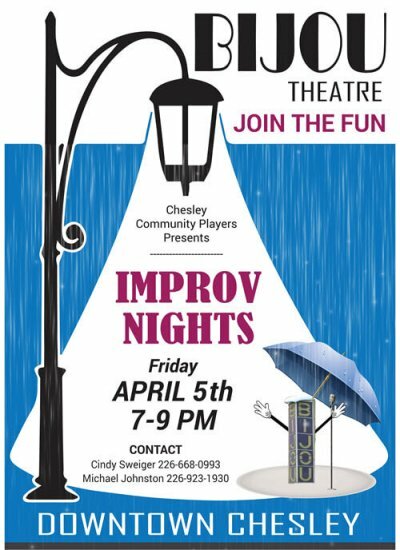 Because of Good Friday we’re only going to have 1 Improv night in April so make sure to mark your calendars! Come out and participate or just watch to see what is going on! Did you hear?! We added extra Improv nights!! Starting Friday, March 8th! Extra Improv equals extra shenanigans!! Every 2 weeks…. 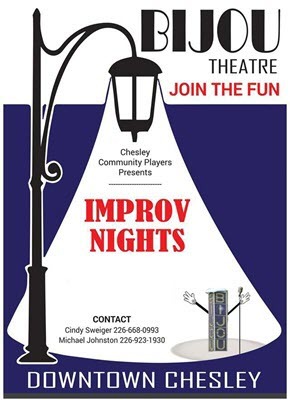 Improv Night Feb 15th cancelled due to weather. Tentatively scheduled for Feb. 22.